Like Harry Potter? Click here to view the entire range. Dobby is everyone’s favourite House-Elf, so bring his adorable charm into your life with this keyring. 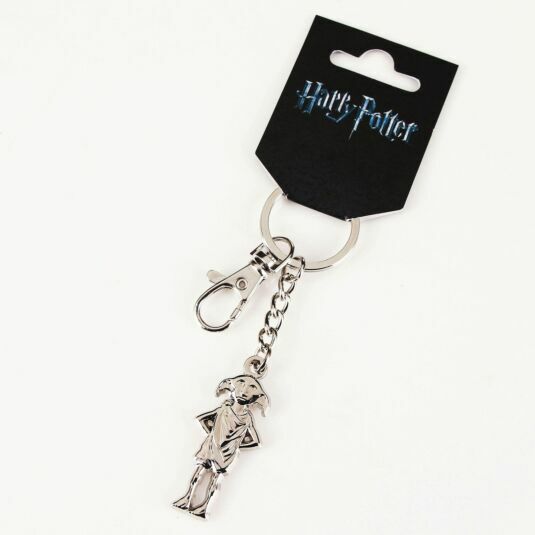 The magic and brilliance of Dobby can accompany your keys, protecting them from evil and making them generally cuter! 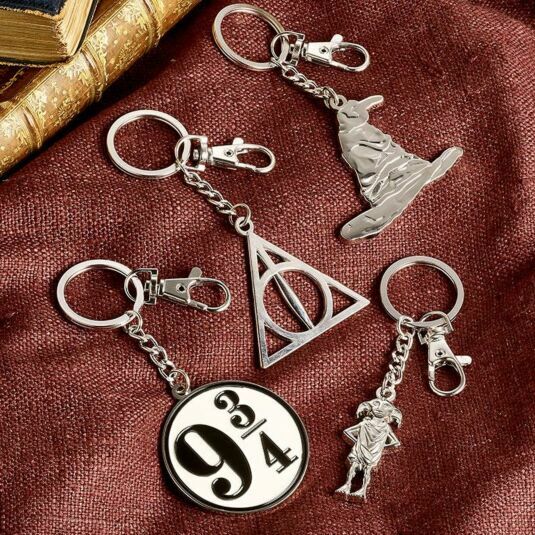 This keyring is perfect for any Harry Potter fan’s who want to celebrate their passion for Dobby. This item contains a ring for your keys, and a snaphook to attach anything else, for example car keys. 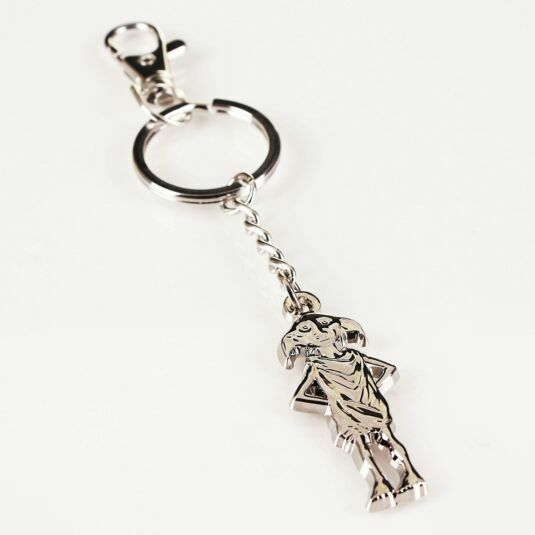 Furthermore, hanging off the ring is a silver plated charm of Dobby looking adorable. This magical charm is the striking centrepiece of the product, sure to conjure up memories of the magic of Hogwarts and the character Dobby. This is a truly elegant keyring and would be a great addition to a collection or as a standalone gift! This item comes with official Harry Potter branded packaging. Officially licensed merchandise from Warner Bros. Approximate length of the charm is 5cm.